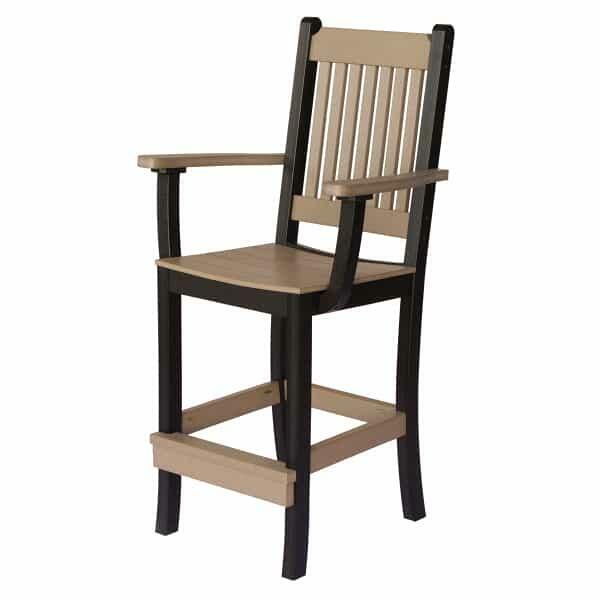 The Garden Mission Bar Height Dining Set is constructed in the USA with the professional care of Amish furniture makers who give the highest attention to quality. 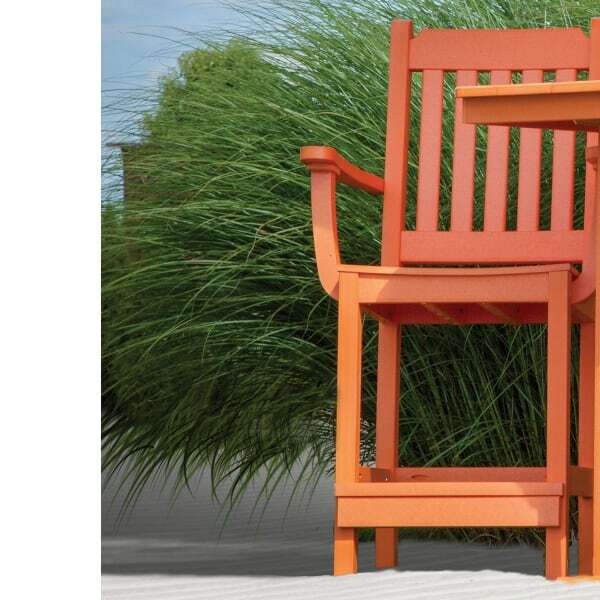 And in keeping with Berlin Gardens mission, it is crafted of environmentally friendly poly lumber created from recycled post-consumer plastic. This incredible furniture is virtually maintenance free. it won't fade, flake, splinter, or rot. 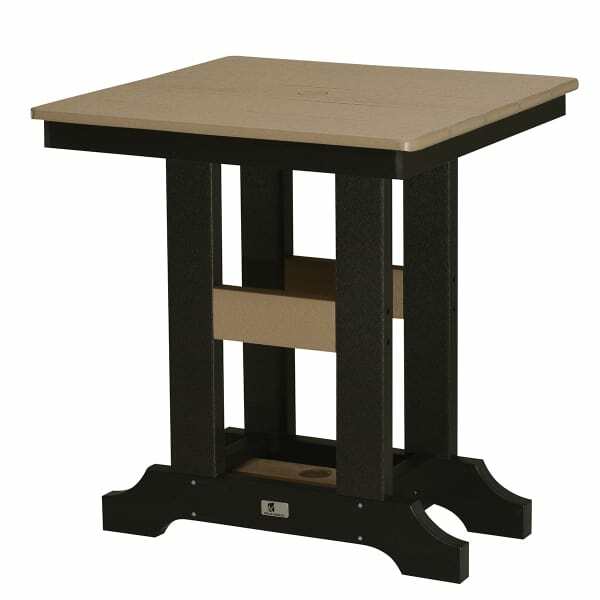 It is ideal for any venue and any environment. 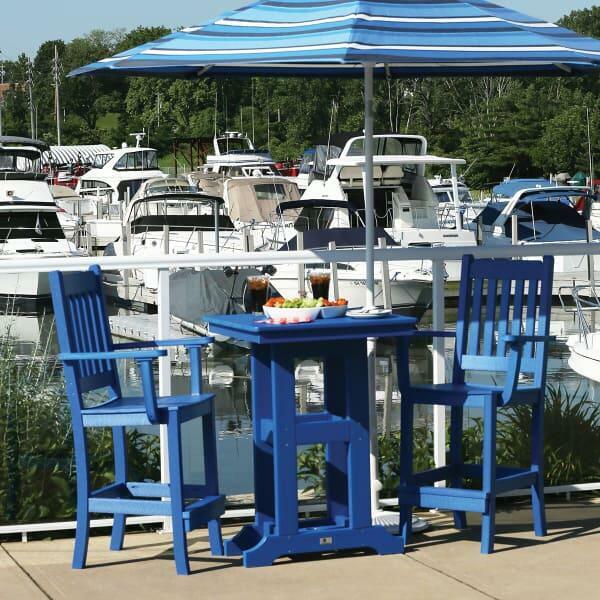 This mission style bar table and chairs is available in over 20 colors and color combinations. It comes with a 20 year residential warranty.